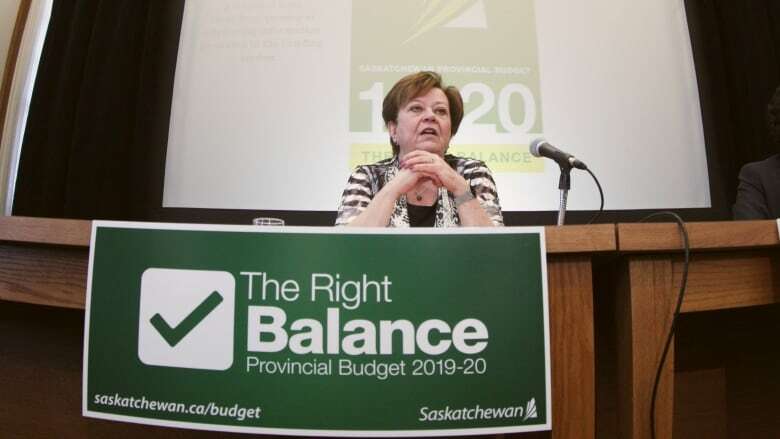 The Saskatchewan Party government says it has kept its promise to balance the budget within three years. 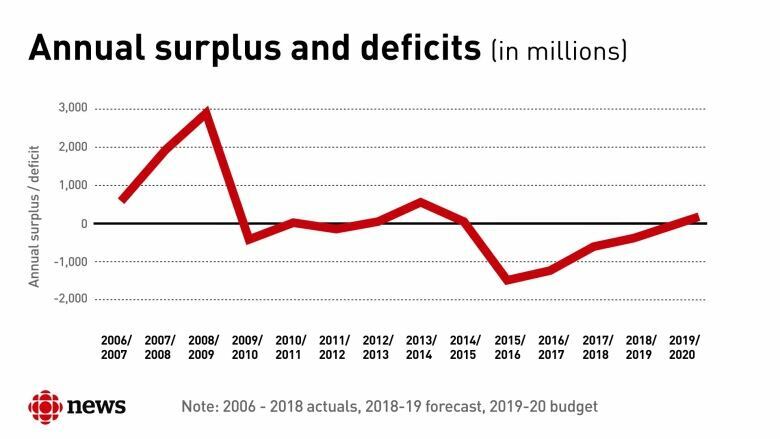 On Wednesday, Minister of Finance Donna Harpauer released her second budget, which projects a $34.4-million surplus this year with surpluses increasing to $82 million in 2022-23. "This year's budget provides the right balance by increasing support for mental health and vulnerable families," Harpauer said. "It increases funding to classrooms and it improves highway safety." Revenue is forecast at $15 billion, a 5.5 per cent increase from last year. Expenses are projected at $14.9 billion, a 2.6 per cent increase. The province points to an increasing tax base and a strengthening economy — partly thanks to potash — as reasons for the increase in revenue. Tax revenue is budgeted at $7.6 billion, or 51 per cent of total revenue. PST revenue accounts for $2.3 billion, an increase of $75 million from the 2018-19 forecast. Harpauer said the decision to expand and raise the PST in 2017 has given the government a "solid footing in order to get to balance." "It was difficult. I want to thank the Saskatchewan people because they stuck with us. I feel very proud to be able to say to them we are not increasing any taxes in this budget, we are increasing services." 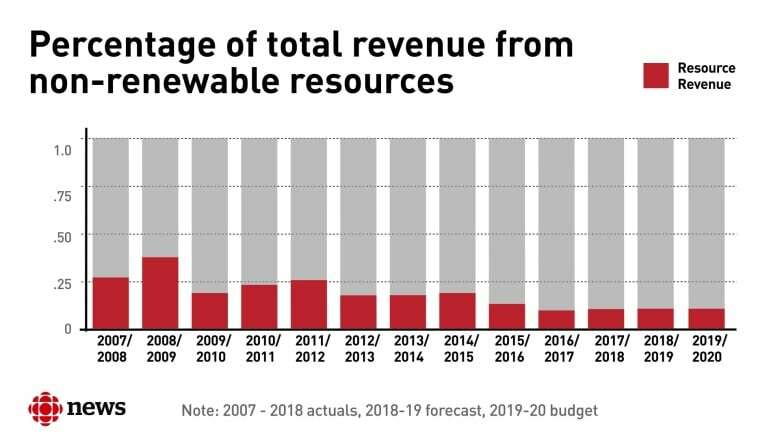 Non-renewable resource revenue is budgeted at $1.8 billion or 12 per cent of total revenue. 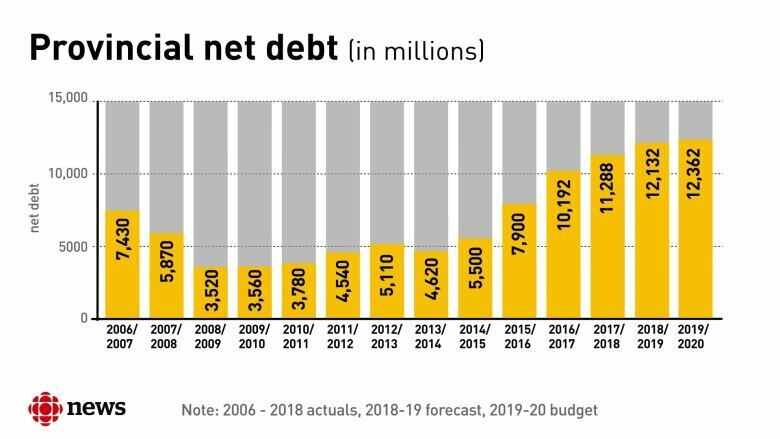 Saskatchewan's public debt is projected to be at $21.7 billion on March 31, 2020, an increase of $1.8 billion year-over-year. Harpauer said the government will make changes to its Potash Production Tax. "The base component of the tax is intended to provide a simple flat payment per tonne of potash sales. However it has gradually been eroded by currently allowable deductions. Effective April 1, the calculation of the potash Production Tax will be simplified by eliminating these deductions," Harpauer said. The change is projected to net the government $117 million in additional tax revenue this year. The health budget is increasing by $123 million, or 2.1 per cent, in 2019-20. 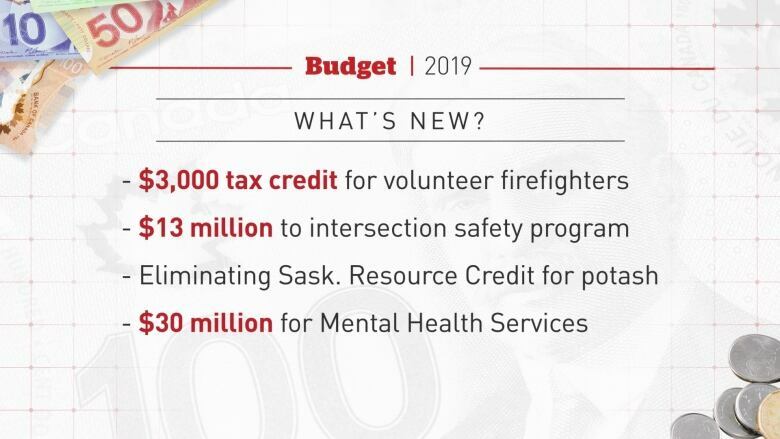 Part of this is what the government is calling "the largest commitment ever to mental health services," an increase of $30 million for a total of $402 million. Part of the new money will go toward 140 new beds for mental health and addictions treatment. The province is spending $1.6 million to launch three Rapid Access to Addiction Medicine (RAAM) clinics in Regina, Saskatoon and Prince Albert. In addition, $1.5 million in new money will allow the temporary Mental Health Assessment Unit in Saskatoon — which closed recently — to re-open permanently. The province is also launching an organ donor registry. It will spend $558,000 on the registry and is hoping to launch it by the end of March 2020. The budget contains $2.5 million for pre-construction design for both Prince Albert's Victoria Hospital and a new hospital in Weyburn. The government will also replace Northlands Pioneer Lodge in Meadow Lake. The K-12 education budget is increasing by $26 million for a total of $2.4 billion. This is a 1.4 per cent increase over last year. The province is spending $3 million for planning and design for a joint-use replacement of Regina's Ecole St. Pius X and Argyle School and joint-use and consolidation projects for four schools in Moose Jaw. Saskatchewan's libraries are receiving a one per cent increase of $128,000. Advanced education funding remains flat for the second straight year, with the exception of the University of Saskatchewan's College of Medicine receiving an additional $88 million. The province is spending $55.5 million in new money in the Ministry of Social Services, including $27 million to support at-risk children and families. The total is a record $1.23 billion. There is also a $6.3 million increase for the Saskatchewan Assured Income for Disability (SAID) program. The province is committing $20 million to enhance intersection safety on highways. For the first time the province's books will display revenue from cannabis: $1.97 million in PST and $3.42 million from the federal excise tax. A $3,000 non-refundable tax credit has been created for volunteer firefighters and emergency responders with at least 200 hours of volunteering. The government said 7,700 volunteers could qualify for the credit. The opposition NDP said the budget is "off-balance" due to an increase in the debt and "underfunding" of education. 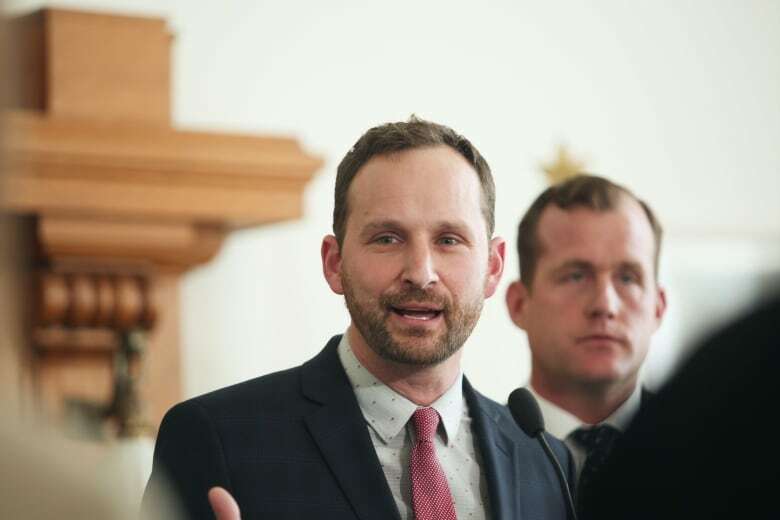 "Far too many people are paying far too much so this government can pat themselves on the back with false celebrations of balance," said NDP Leader Ryan Meili. NDP finance critic Trent Wotherspoon said of the $26 million for K-12 education is not close to what students, teachers and schools need. "Of the $26 million, $10 (million) of it goes pay for the teachers' contract. That leaves only $16 million go to classrooms across Saskatchewan," he said. "I'm incredibly disappointed on this front." Wotherspoon said the government is using the PST increase and expansion to balance its books at the expense of people. "The average family is paying $800 more PST out of their pockets at a time when they have got a lot of other cost pressures." Speaking at the legislature after the budget release, Moe responded to criticism about the level of public debt. 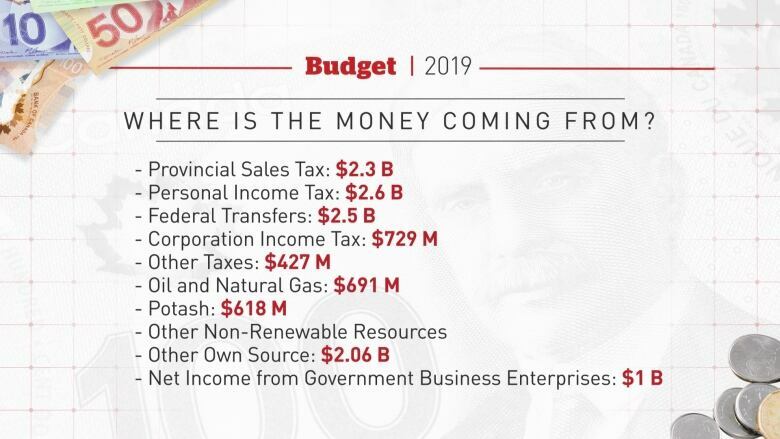 "The debt in this province as a whole is at a manageable level when you compare it to provinces across the nation," said Moe. "But it is something that we need to continually pay attention to." Barbara Cape, the president of the Service Employees International Union West, said she wants to know more before accepting the government's claim of a balanced budget. The union, which primarily represents healthcare workers, has about 13,000 members in Saskatchewan. "There was a lot of hype leading up to this budget about a good news budget, a balanced budget, all those nice things," said Cape. "I gotta wonder, how the heck is this a balanced budget? I'm going to be doing some homework over the next couple of days to dig into some numbers and the background."